The Scientific Instruments, single-channel Model SCM-10 Temperature Monitor provides the accuracy, resolution, and interface features of a benchtop temperature monitor in an easy to use, easily integrated, compact instrument. 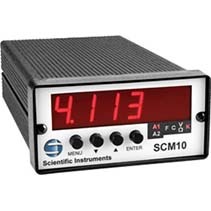 The Scientific Instruments single-channel Model SCM-10 Temperature Monitor provides the accuracy, resolution and interface features of a bench top temperature monitor in an easy to use, compact and easily integrated instrument. With appropriate sensors, the SCM10 measures temperature from 1.4K to 800K and in difficult sensing conditions, including high vacuum and magnetic fields. SCM10 has two programmable alarms, two relays and a user configurable analog voltage or current output. 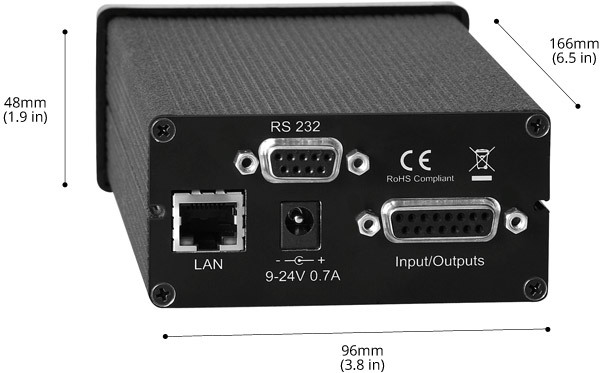 Serial interface and Ethernet interface are provided for remote operation.A PC-compatible utility software is provided with the SCM10. This graphical user interface provides an easy way to set all instrument parameters and evaluate the performance of the instrument. The SCM10 also has an embedded web server that can be used to connect to the instrument from anywhere within the LAN using an internet browser. The instrument web page shows the current temperature reading and shows the status of all alarms and relays. The SCM10 temperature monitor supports diode and RTD sensors. The cryogenic instrument can be configured for the appropriate sensor type using the front panel or the utility software. Two convenient sensor excitation currents are provided to choose from. The SCM10 provides a 4 –leaded differential measurement for accurate temperature measurements. 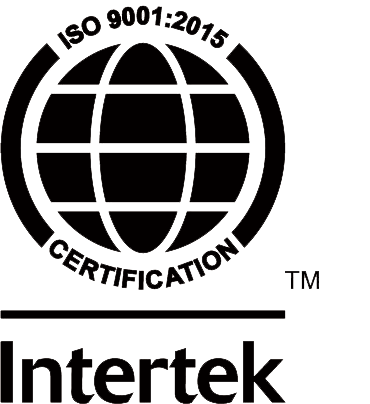 Measurements are available in temperature units K, ̊C or ̊F , or sensor units V or Ω. The SCM10 has 9 standard sensor curves that are programmed into the instrument from the factory. It also provides room for one 200 point user curve, which may be loaded into the instrument using the utility software. With a serial, Ethernet, and convenient graphical user interface, as well as an ASCII command set and LabVIEW™ drivers, the SCM10 can be used as a stand-alone temperature monitor or can be easily integrated into other systems.